Respirator Hood, Air Mask by Allegro safety. 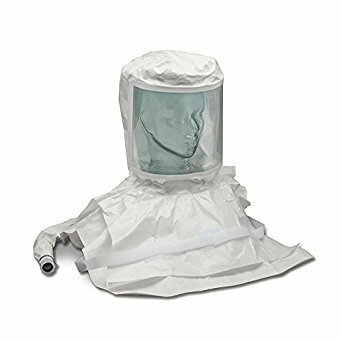 First Aid and Safety provides a variety of supplied air respirator hoods and air masks from Allegro Safety. These full mask respirator, half mask respirator and our Fully Disposable Hood offers incredible flexibility and ease of use in confined spaces and contaminated environments. Complete systems come in one box with one part number for ease of ordering. Allegro Safety and First Aid and Safety Online are committed to meeting your needs. Supplied Air Respirator Hood Lens Covers 10/pkg.